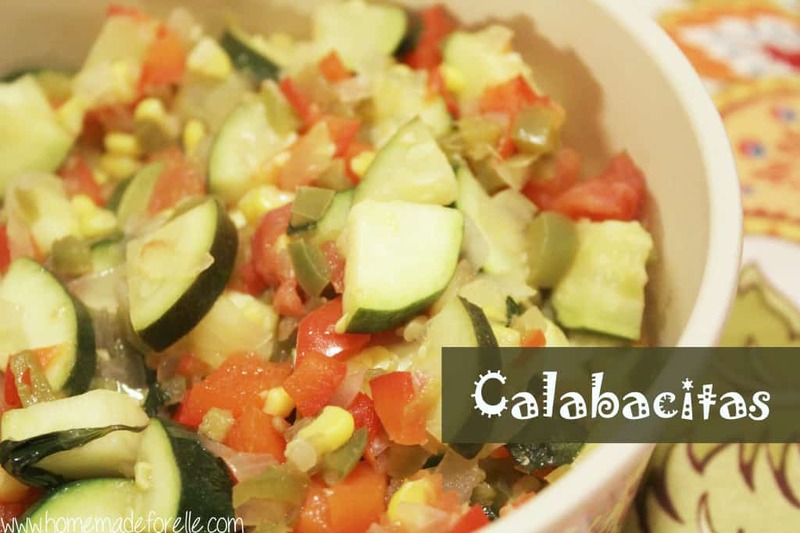 I am really exited to share this recipe with you guys!Calabacitas is a New Mexican dish that translates to “little squash”. It’s usually made with squash, corn and peppers, but it can be tailored to your specific tastes (or the contents of your fridge!). This is a pretty simple recipe. 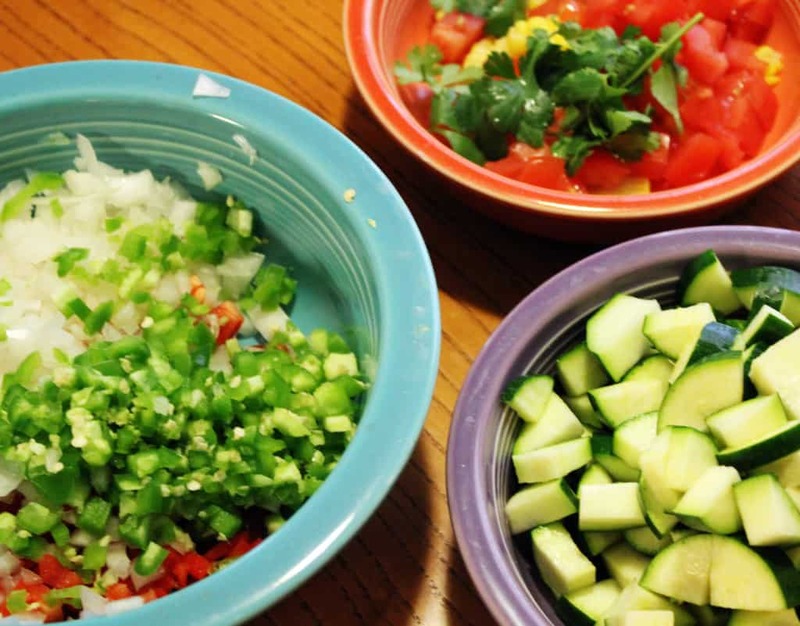 I start by boiling the corn, chopping up my ingredients, and separating them into individual bowls (based on what veggies will cook together). You can certainly choose to use frozen corn kernels if you don’t want to boil a cob, if that is your preference. Just skip the first step of the recipe. Then you just add them to the pan, in order, and that’s it! 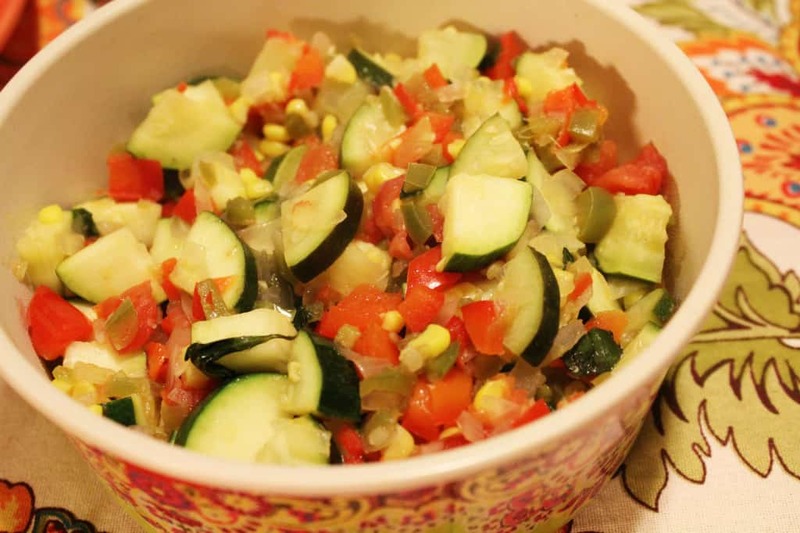 A fresh, bright, flavorful and healthy summer dish! Bring a pot of salted water to a boil over medium-high heat. Add cob of corn and cook 6-8 minutes. Meanwhile, dice your other vegetables. When the corn is cooked, use a knife to cut the kernels off the cob. In a large skillet, warm olive oil over medium heat. Add jalapenos, bell pepper and onion. Saute 5-7 minutes, until starting to soften. Add zucchini and cook an additional 5-7 minutes, until zucchini starts to soften. Add tomatoes and corn, and continue cooking for another 3-5 minutes or until warmed through. Add cilantro, salt and pepper. Serve immediately. Needs green chili instead of jalapenos;) looks good!